This book is a fast paced science fiction novel. 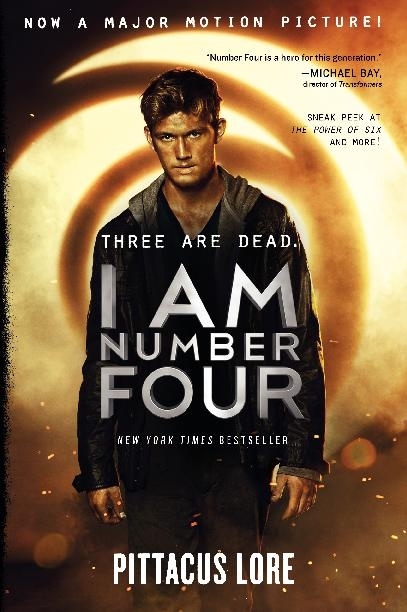 The world of I Am Number Four is so convincing that the author has adopted the alias of Pittacus Lore, an elder of John Smith’s home planet. Tension runs high as action and forbidden love carry the reader away. John Smith struggles with all the same issues as a normal teenager, with the notable exception that he isn’t from earth. This novel marks the beginning of what promises to be a fantastic new sci-fi series. Despite being butchered by the big screen I Am Number Four truly is a worthwhile story. Recommended for any high school reader. 4 stars.